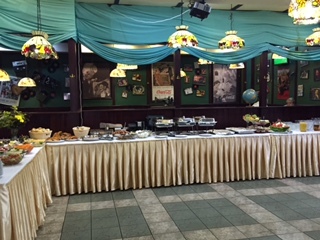 The Rosinka Family Restaurant on the 27th of September laid on a delicious Brunch Buffet for residents. 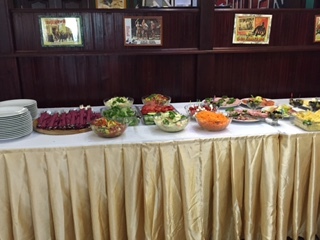 It was held in the Restaurant and was an attractive and varied offering of breakfast and lunch food accompanied by some bubbly or soft drinks. There were tasty burgers in buns, bacon, eggs, various salads, delicious croissants and muffins as well as fresh fruit to make your mouth water and to help you enjoy a lazy, sunny Sunday with friends.